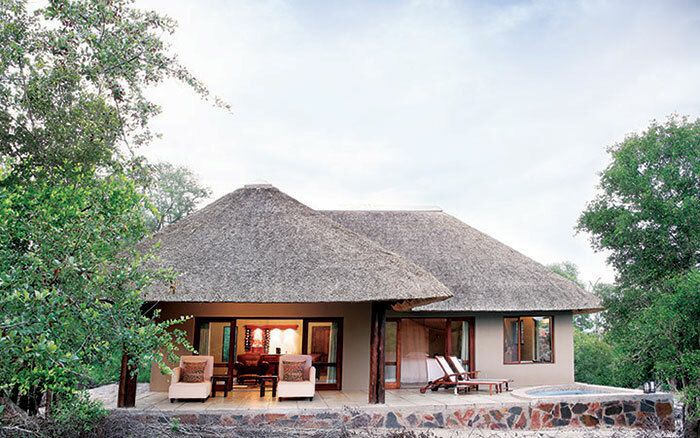 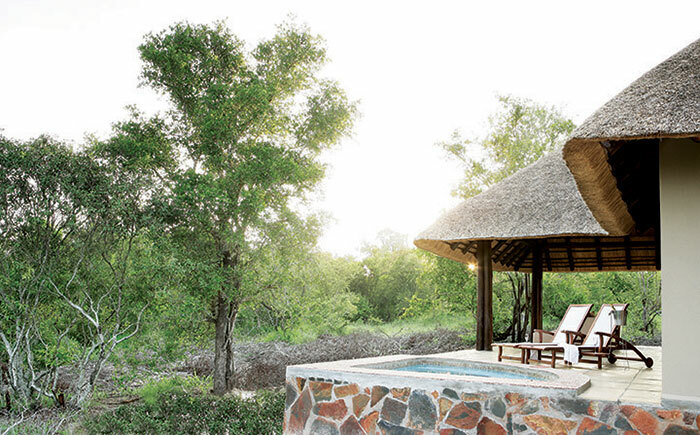 Arathusa has 4 bush-facing Suites which are remotely located, away from the lodge. 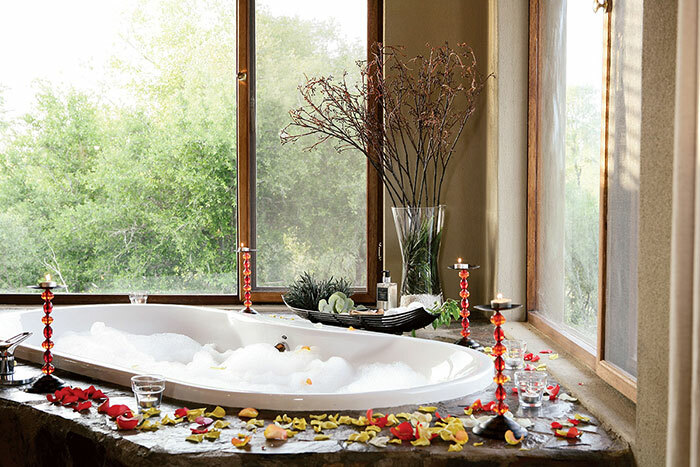 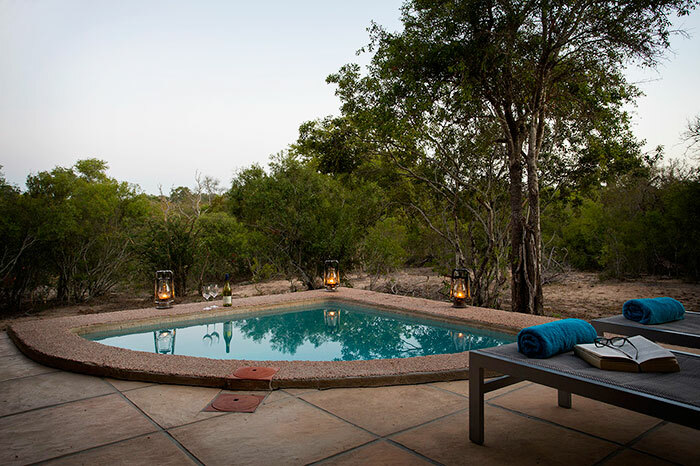 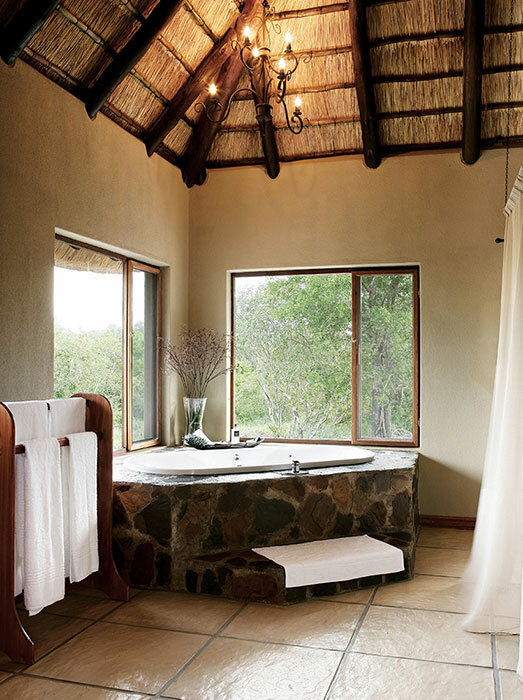 Each of the bush-facing Suites has its own plunge pool and verandah, and affords guests with the advantage of privacy within the untamed wilderness. 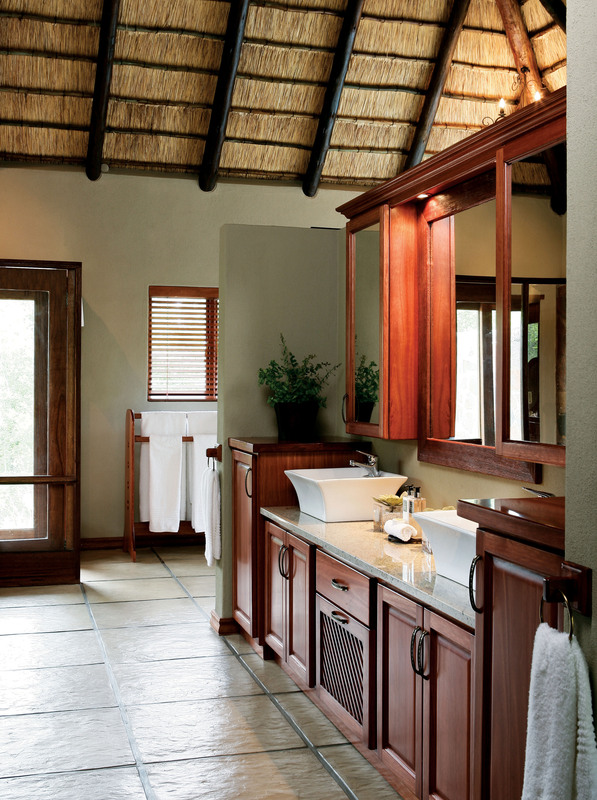 Each unit also enjoys a lounge area within the extensive open plan unit, as well as indoor and outdoor shower. 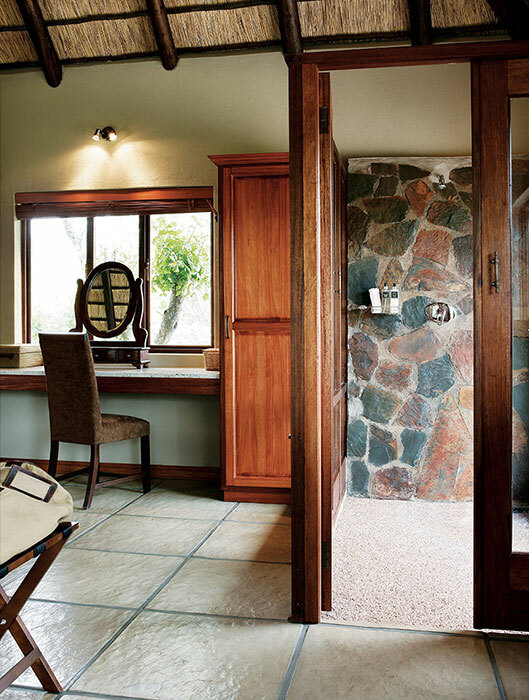 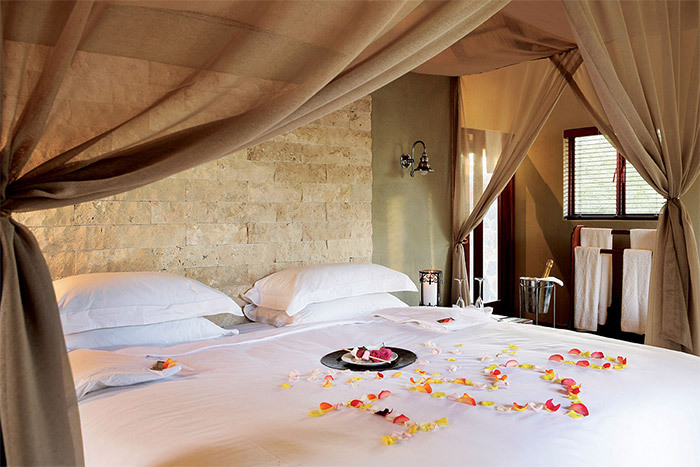 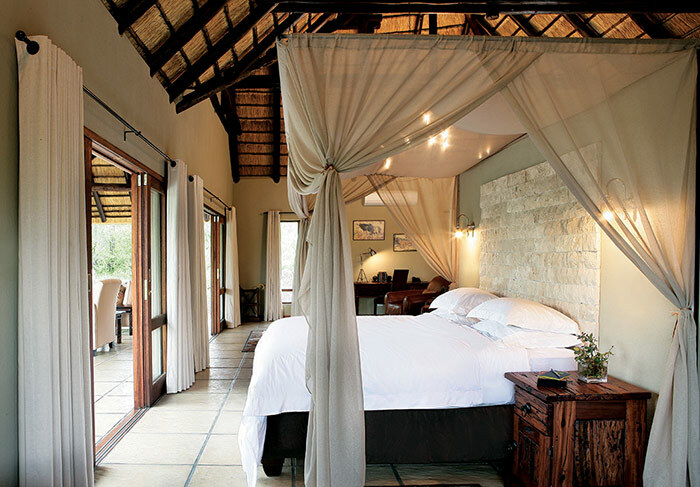 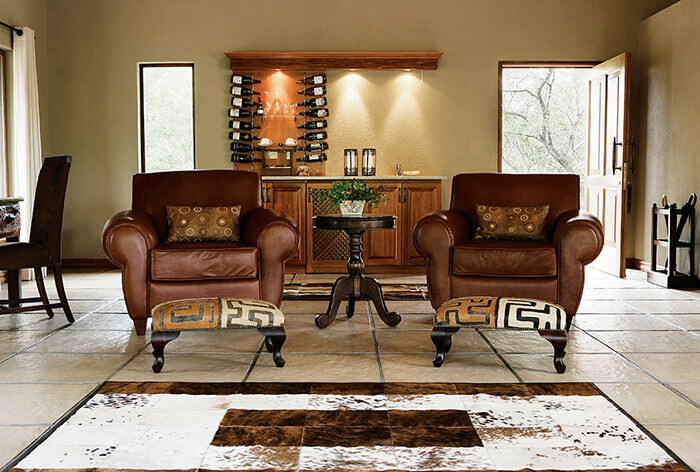 In keeping with the traditional and natural safari experience, there are no televisions in the Suites at Arathusa. 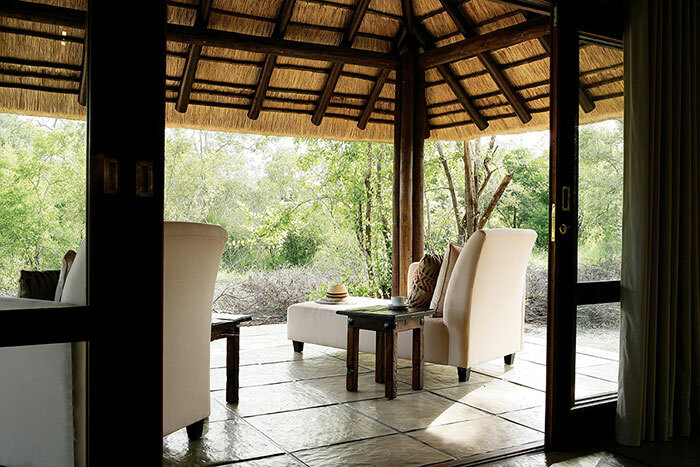 Guests are, however, able to send or receive e-mails from the public areas and reception. 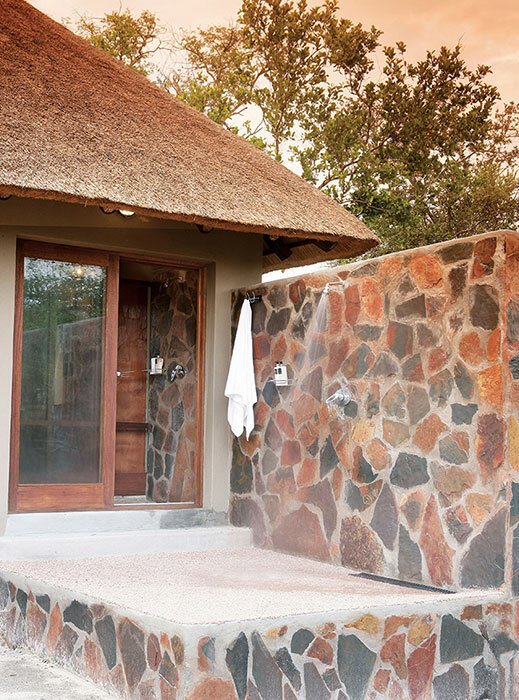 Additional amenities in the Suites include a mini bar (stocked with a selection of beverages), an electronic safe, hairdryer, air conditioning, direct-dial telephone, mosquito net and tea/ coffee making facilities.